Next Stop: Food | Food Blogger located in Sydney Australia: The Hardware Sociéte: What to eat?! The Hardware Sociéte: What to eat?! 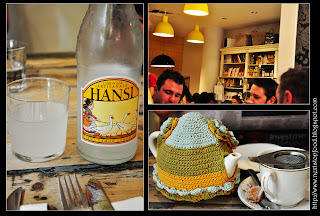 After arriving late Friday night, our “first” official meal was going to be the neat little café which everyone talks about … the café in which everyone doesn’t just recommend but states, you just have to go to Hardware Societe. Sitting in the cosy little café on the communal table, we came to our final decision. Feli had wanted scrambled eggs, so it just a choice of which she would have. The food came out so fast; we see how they manage to turn their tables so fast despite the massive queue. The scrambled eggs were really lovely, cooked to perfection. It was light and fluffy. Candice and I both wanted the poached eggs and baked eggs, so we came to conclusion to share. So … I know this may come as a surprise, but … it was my first time trying baked eggs, and I have always wanted to try. So, no better place to try baked eggs then … HARDWARE SOCIETE. OMG … just omg! 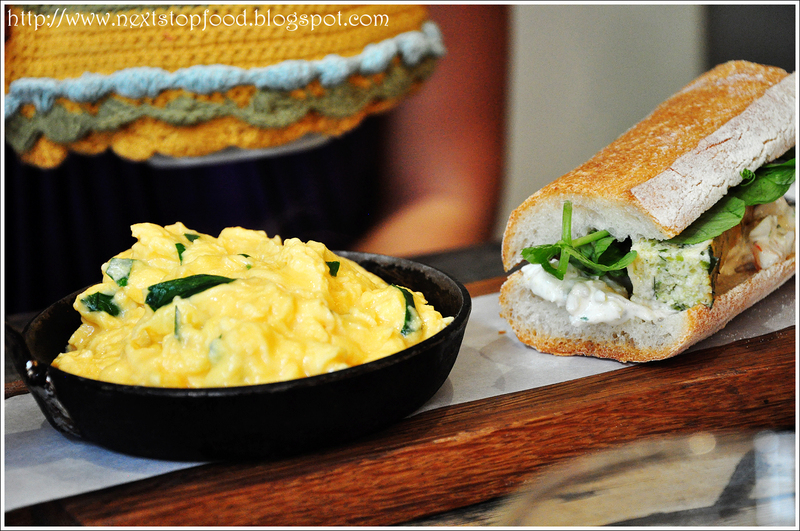 I love it; the melted cheese, and the hidden chorizos’ with an egg-y goodness. Even towards the end, the melted cheese was being as we all like it, stringy!! I don’t know why, but I didn’t seem to have much of an expectation of the poached eggs, perhaps I secretly wanted the baked eggs a fraction more. However, once it arrived I couldn’t wait to dig in (which of course being foodies is never the case). The egg was cooked to perfection; the yolk was runny once our knife cut into it. 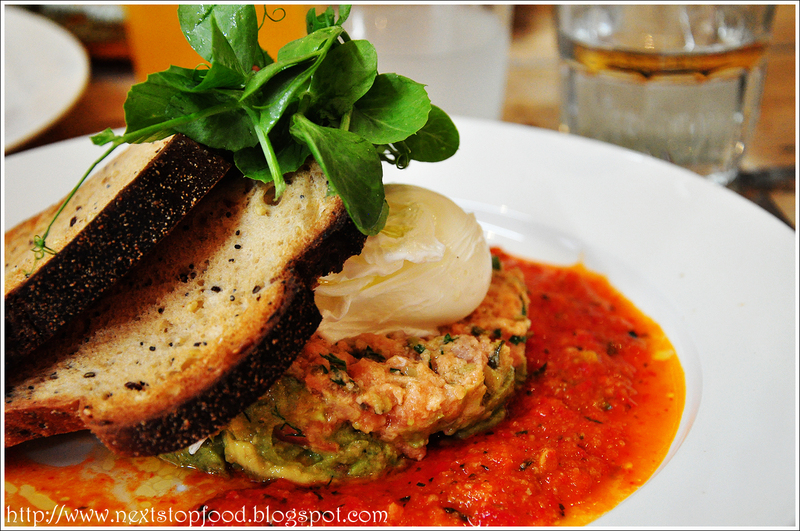 The avocado and salmon tartare was just sitting there teasing me “Eat more, eat more!” scraping up the tomato based sauce as well, just made me listen to my mental mind of talking tartare! 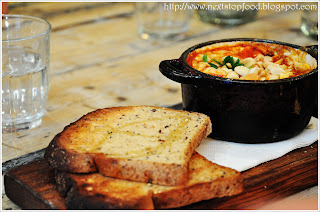 Overall, I do not only recommend this place when you visit Melbourne, but simply state “you must go to Hardware Societe regardless of a queue or not.” I mean; that’s what we had experienced and was definitely not disappointed. Have you ever been recommended to a place and walked out disappointed? seems to be one of the few places opened for breakfast in the CBD on a weekend in Melbourne. always so busy when i pass by. HAHA ... I guess I can say, it's one that you know you can't go wrong with? especially for a table for one... haha easier and faster to get a table perhaps? I would like to have a bit of everything too. Damn I need to head down to Melbourne really soon. Missing out big time! 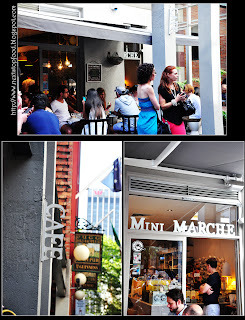 mmm ~~ Yes, we're all missing Melbourne food so badly!! T^T hahaha!! I think I'm on to something haha! Lovely brunch spot in Melbourne! 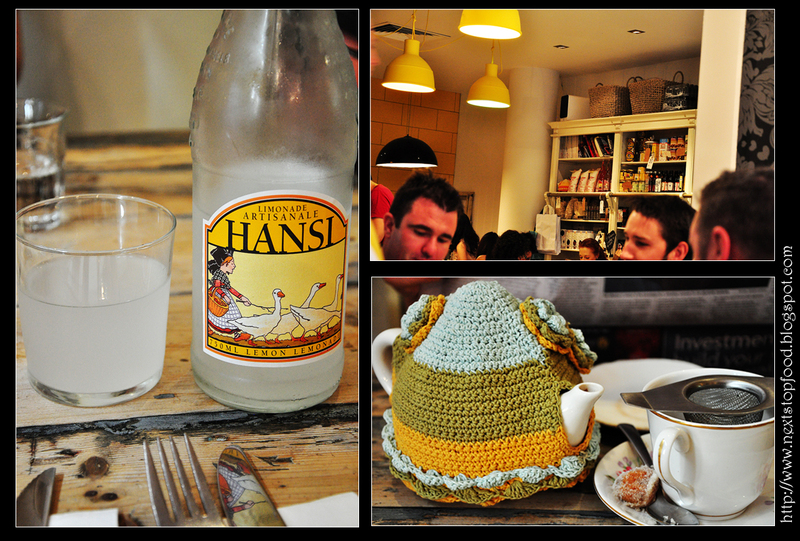 I really liked their tea cosies!